As World Vegan Month comes to an end, this article serves as a fantastic reminder of just how amazing veganism is and the importance of animal kindness and mindfulness. Check out Huffington Post’s “Longevity, Anyone? 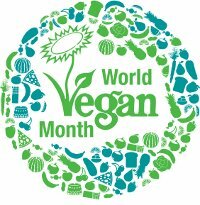 Top 20 Reasons to Go Vegan During World Vegan Month” by Kathy Stevens. Kathy is an incredible author and has two wonderful books out as well — Animal Camp: Reflections on a Decade of Love, Hope, and Veganism at Catskill Animal Sanctuary and Where the Blind Horse Sings: Love and Healing at an Animal Sanctuary, both of which I’ve read. Cheers!